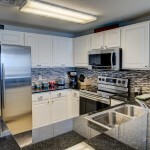 Unit #1305 at The Summit is an excellent choice as a rental investment condo or second home. 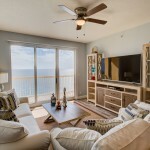 Enjoy the beach lifestyle without breaking the bank in this 1 bedroom, 1.5 bath plus bunk unit in one of the best value condos on Panama City Beach. This immaculate, fully furnished unit is turn-key and rental ready so you can take advantage of rental income right away! Just imagine making lifelong memories playing on the World’s Most Beautiful Beaches, enjoying refreshments by the beachfront pools, then lounging on the private balcony while watching the breathtaking sunset over the Gulf of Mexico. With 1 full bedroom, a hall bunk and a sleeper sofa, unit #1305 comfortably accommodates 6 people, making this an excellent value for families and large groups. 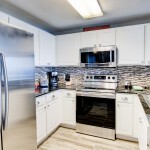 A fully appointed kitchen and stackable washer/dryer in the unit add convenience and functionality. And did we mention the stunning 13th floor ocean views?! Investors take note – here is the rental condo you have been searching for! 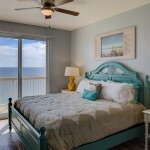 The 2 bedroom plus bunk room floor plan at Calypso has long been recognized as one of the best floor plans for rentals on Panama City Beach. Calypso Resort and Towers is in a prime rental location, just steps away from the area’s central shopping, dining, and entertainment hub, Pier Park. There, you can dine at signature restaurants like Margaritaville, experience in IMAX movie in The Grand Theater, then stroll along the sugar white sand beach as the sun sets over the Gulf of Mexico. 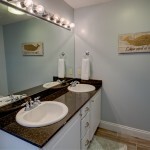 In addition, owners and guests alike will appreciate the first-class amenities offered at Calypso Resort and Towers. Spend a lazy afternoon lounging on the spacious pool deck sipping on beverages from the Tiki Bar, make a splash in one of the two Gulf front lagoon style pools (one of which is heated seasonally), or walk a few more steps down to the beach for an afternoon collecting shells and frolicking in the emerald green waters. Calypso also offers a fitness center and game room. Located in Calypso’s highly desirable West Tower, unit #2-302 is a solid choice for rental investors. In 2015, Calypso #2-302 brought in $47-48K, plus taxes and cleaning fees. This condo easily cash flows with 20% down! It’s no surprise this unit rents so well with Calypso’s premium location close to Pier Park, combined with the unit’s excellent condition and location on the 3rd floor. Guests can park in the covered garage and never have to step foot in an elevator or climb stairs to access the unit. Simply park, cross the 3rd floor walkover, turn the corner, and enter this stunning beach retreat! 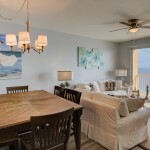 Step inside this beachfront oasis to find the wow factor that drives rentals, with touches like hardwood floors throughout the great room and bedrooms, professionally decorated interior with attractive furnishings, and breathtaking 3rd floor ocean views. The private Gulf front balcony, which can be accessed from the living area as well as the master suite, is the perfect spot to enjoy warm sea breezes and admire stunning sunset views over the Gulf. A dedicated laundry room is a much-appreciated convenience for families after a full day playing on the beach. 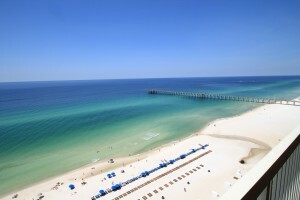 The term “waterfront condos on Panama City Beach” typically conjures up images of a high-rise condo in the sand overlooking the Gulf of Mexico. For some folks looking to live in a waterfront condo, this draws little appeal. 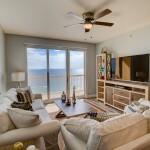 Between the elevators, the higher density, the ever-changing population, and the more metropolitan feel of Panama City Beach, sometimes your typical beachfront condo is not a good fit. But where to find a more relaxed waterfront condo with all the amenities found on the beach? Nestled along the quiet shores of St. Andrews Bay, Waterhaven Condo could be the perfect solution. Privacy, security, and tranquility are paramount in this gated community. Rentals are restricted in Waterhaven, so there’s no need to worry about what slew of new neighbors might move in on any given week. All you’ll have to worry about is whether to swim in the pool or the bay! This is the boat-lovers paradise with plenty of room for boat owners to park their vessels on the 26-slip boat dock, plus access to a private beach. Waterhaven Condos boast amenities you would expect at a first-class resort, including a private beach right on St. Andrews Bay, a seasonally heated bay front pool, and a private boat dock with boat slips available. Avid boat owners and fishermen alike will appreciate the nearly 1,000ft dock, with slips available for onsite boat parking. 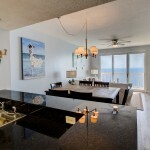 Unit #P114 at Waterhaven is a highly desired bay front 2 bedroom unit with stunning 2nd story views of St. Andrews Bay. This is one of the few truly bay front units in Waterhaven. Custom plantation shutters, heart pine hardwood floors in the main living areas and kitchen, coffered ceilings, crown molding throughout, and a wet bar in the living area with wine cooler and ice maker are just a few of the high-end interior touches. Just imagine admiring the breathtaking sunrise views over the bay from the living/dining area, kitchen, master bedroom, and private balcony every morning. The spacious east-facing private balcony can be accessed from the living area and through dutch doors in the master suite. As an added bonus, the second bedroom has its own private balcony on the west side of the building. Cooking is an absolute delight in the gourmet kitchen boasting stainless steel Viking commercial appliances, custom wood cabinetry, beautiful backsplash, granite countertops, and breakfast bar. The master suite is a luxurious sanctuary with en suite master bath featuring a large garden tub, separate shower, two separate vanities, travertine tile floors, and spacious walk-in closet. Beachfront Ownership Under $150K – Just a Dream? Ever wonder if those television shows that follow people buying beachfront properties for under $150,000 are true? 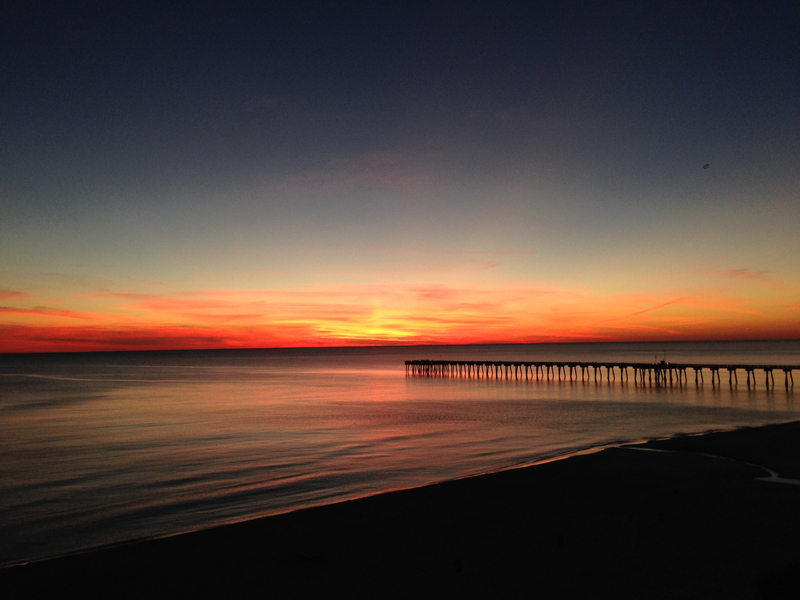 The answer is yes, and Panama City Beach is the place to make it happen. 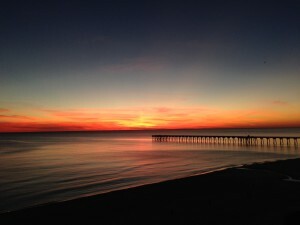 Located on the beautiful Gulf Coast of Florida, Panama City Beach is a quick and easy escape from one hectic life. The best part is that this piece of paradise is easy to get to. Northwest Florida Beaches International Airport is only a short drive from the beach and offers direct flights from many major cities including Atlanta, Nashville, and Dallas. 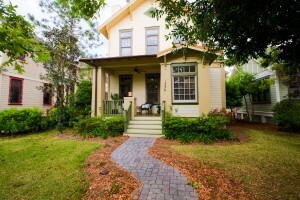 Stunning beaches and convenient location has created demand from buyers securing their summer homes. Beachfront bargains are still available for the diligent buyer. Prices are on the rise, and the $150,000 market is fast moving with no time to wait. Properties can be gone within a day’s notice. The good news is that there are still great options for you to find the perfect beachfront getaway. Spending under $150,000 for a beach front property does not mean you have to sacrifice comfort. 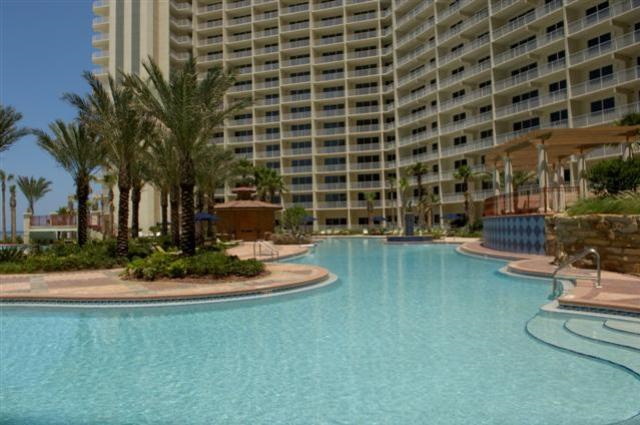 Shores of Panama is an iconic condominium development on the East end of Panama City Beach, adjacent to Sunbird Condo. This 23-story luxury resort boasts one of the largest gulf front lagoon pools and decks in North Florida. Studio units in Shores of Panama have recently been selling in the $100-120K range, with current list prices from $117,000 to $123,900. The least expensive 1-bedroom condo in the low $150K price point. Sunbird Condo offers spacious 1 bedroom units with stunning Gulf views, large private balconies, and resort-style amenities, including three gulf side pools just steps from the beach. Over the past 6 months, Sunbird Condo 1-bedroom units have been selling around $125-175K. Sunbird is a very popular condo for beachfront bargains and it one of the top condos in Panama City Beach for 1-bedroom gulf front condos. 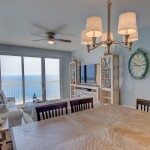 Majestic Beach Condominiums offers a true bird’s eye view of the clear gulf waters. 650 feet of sugar sand beach, indoor and outdoor pools, and close proximity to shopping and dining at Pier Park makes Majestic Beach a community worthy of consideration for investors. Studio units at Majestic Beach are highly sought after as one of the best values on the beach, which means they rarely come on the market. Only one Majestic Beach studio unit came on the market in the last 6 months, and it immediately sold for $130K. 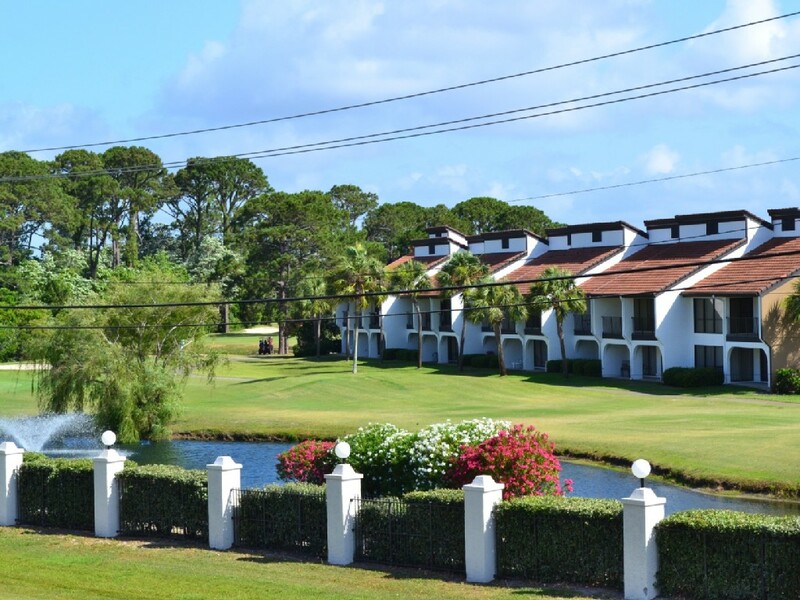 For the golf fanatic, Edgewater Golf Villas delivers a stellar golf course on site plus a short, private walkover to the beach. The Edgewater Beach and Golf Resort is one of the few full service resorts in Panama City Beach, Florida with amenities to meet the entire family’s needs. 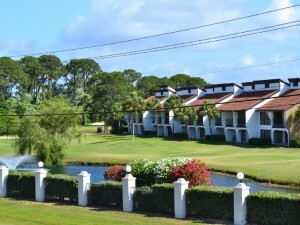 Edgewater Golf Villas is perfect for families looking for plenty of space on a reasonable budget. 1-bedroom units at Edgewater Golf Villas have been recently selling around $75-125K, while 2-bedroom units are selling for about $130-150K. Find your paradise in this stunning penthouse level unit in Calypso’s highly desired West Tower. There’s nothing in the world quite like watching a fiery sunset over the Gulf of Mexico from a penthouse level unit at Calypso Resort and Towers. 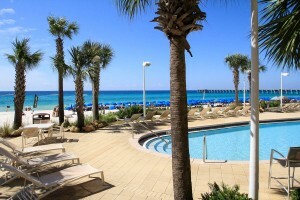 Calypso is the premiere condo resort in Panama City Beach, boasting some of the best rentals and amenities in the area. Owners and guests enjoy first class amenities like two beachfront resort-style pools with pool deck, poolside Tiki Bar & Grill, community room, fitness center, and 512′ of beach frontage. 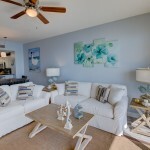 With all this located adjacent to the area’s most popular shopping, dining, and entertainment hub, Pier Park, it’s no wonder Calypso condos generate some of the best rental income in Panama City Beach. 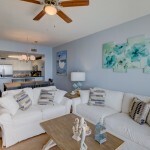 Calypso unit #2-2304 is a beautifully furnished penthouse level unit with lots to offer. Indulgent sunset views over the Gulf of Mexico can be witnessed from the living area, master bedroom, kitchen, and private balcony. 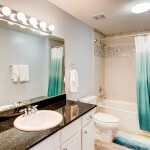 The master suite boasts a double sink vanity as well as its own entrance to the nearly 150 sqft private balcony. Penthouse level units at Calypso like unit #2-2304 also feature 10′ ceilings in the bedrooms and living area, which gives unit #2-2304 a spacious feel rarely found in a beach condo. 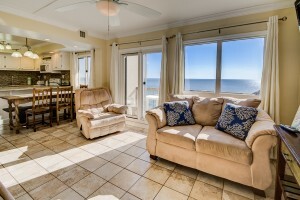 A full laundry room and wet bar offer added convenience to round out this prime beach retreat. 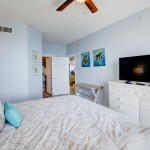 Interior elements throughout unit #2-2304 were recently updated in coastal contemporary style by an interior designer. With its proven rental history, desirable location, and tasteful furnishings, this penthouse condo at Calypso stands head and shoulders above the rest. Tired of massive high rise condos in the middle of the most crowded, noisy areas of Panama City Beach? It’s time to rethink your idea of a beach condo. Vista Del Mar is located directly on highly sought after Front Beach Rd, one row back from the beach just steps to the convenient beach access. 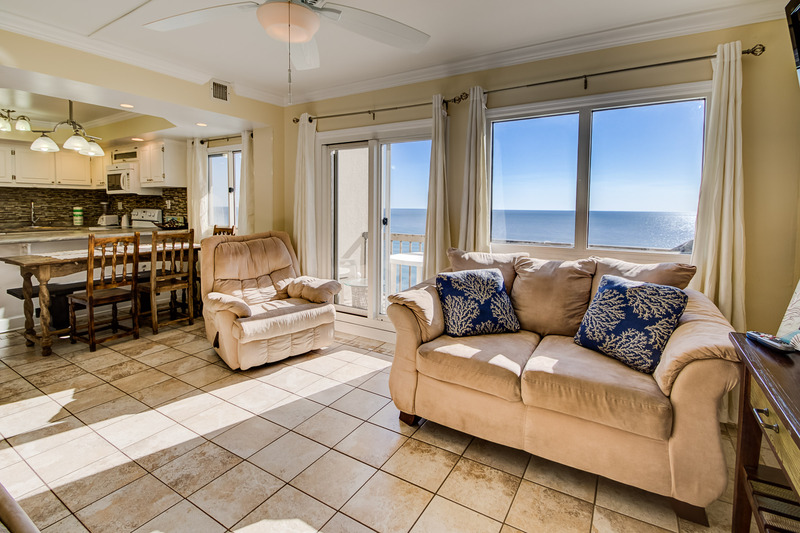 Enjoy beautiful Gulf views from the great room, kitchen, and the private balcony. No more worrying about finding a parking spot or enduring a long walk through a dark parking garage – enjoy your own premium parking in the spacious private garage with elevator access to the 2nd floor. 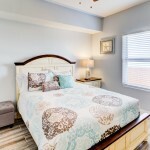 This unit sells tastefully furnished and rental ready with a proven rental history. Interior upgrades include beautiful kitchen with wood cabinets, stainless steel appliances, and granite countertops; luxurious master bath featuring tile floors, separate walk-in shower, and whirlpool tub. If you are looking to enjoy the beach without the crowds, and do not want to be in a high rise condo, this property is for you! Think a quality investment condo is out of your reach? Here’s your chance to own a piece of paradise for under $100K. You’ll be on top of the world at Top of the Gulf. 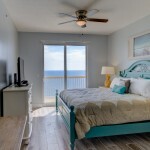 Top of the Gulf is ideally located in Panama City Beach Florida: Pier Park, Ripley’s Believe it or Not, WonderWorks, Shipwreck Island Water Park, St. Andrews Sate Park, and countless other hot spots are within 6 miles of this Gulf front condominium development. Don’t feel like going out on the town? Top of the Gulf features first rate amenities to keep you entertained, including a private Gulf front pool with poolside snack bar, exercise room, and, of course, the sugar white sand beaches. The on-site laundry facility is an added convenience. Top of the Gulf #821 is the perfect combination of luxury and economy on Panama City Beach. This highly desired, tastefully furnished 8th floor unit offers first rate amenities and an ideal location at an affordable price. Wake up to stunning Gulf views, then watch dolphins at play as you cook a wholesome breakfast in the fully appointed kitchen. After a relaxing morning in this top floor unit, stroll down to the Gulf front pool for a swim and enjoy a snack at the poolside snack bar, or walk a few more steps to plant your toes in the sugar white sands and emerald green waters of the world’s most beautiful beaches. Rental opportunities for Top of the Gulf unit #821 are endless, and you can reap the rewards of your investment right away – this unit sells fully furnished and rental ready! Efficient full bath with hollywood lighting. Relish in stunning Gulf views from almost anywhere in this unit at Top of the Gulf. This efficiency unit at Top of the Gulf is a great rental investment property. 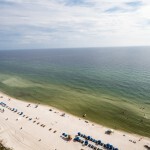 Let the sun wake you up over the emerald green waters of the Gulf of Mexico at Top of the Gulf. Luxury is having this view of the World’s Most Beautiful Beaches. Unit 821 at Top of the Gulf features a fully appointed kitchen so you can enjoy all the comforts of home while escaping to paradise. Top of the Gulf #821 features tile floors throughout, a fully equipped kitchen, and access to first rate amenities. Cook a wholesome breakfast before a relaxing day on the beach in the fully equipped kitchen. You’ll be on top of the world waking up to this gorgeous view of the Gulf. UPDATE 08/18/2015 – BACK ON MARKET and reduced to $399K! UPDATE 06/03/2015 – Reduced to $405,000 for quick sale! Tidewater Beach has everything you could ever want in a Gulf front condo in Panama City Beach. Its ideal location close to the Northwest Florida Beaches International Airport and within walking distance Pier Park, the area’s most popular shopping, dining & entertainment hub makes it highly desirable as a primary residence or investment property. Tidewater units rent exceptionally well, boasting a premium location, resort-style amenities, and of course the World’s Most Beautiful Beaches in your backyard! 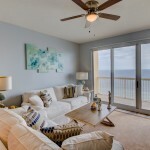 This “C” floor plan unit at Tidewater has been meticulously maintained by its original owner and is tastefully furnished in coastal contemporary style. At 1,865sf, this 3 bedroom 3 full bath condo at Tidewater sleeps 8 and offers plenty of space for families to relax and have fun. Escape to the Gulf front master suite featuring its own entrance to the private Gulf front balcony, a spacious walk-in closet, and luxurious master bath with double vanity, garden tub, and separate walk-in shower. There is a 2nd master just down the hall with its own private en suite bath. 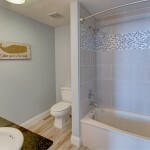 The 3rd additional bedroom is adjacent to the 3rd full bath. The unit features 9′ ceilings throughout, custom oak kitchen cabinets, granite countertops in the kitchen and bathrooms, and stunning 20th floor Gulf views from the kitchen, living/dining, master bedroom, and private balcony. Two separate, convenient lockable storage cages located just across the hall from the unit convey with sale. Enjoy endless resort-style amenities including two 4,200sf lagoon pools, an indoor heated pool, poolside tiki bar & grill, a 4,300sf fitness center complete with hot tubs & sauna, a 70-seat movie theater, and more! All this, just steps away from the sugar white sand and emerald green waters of the Gulf. 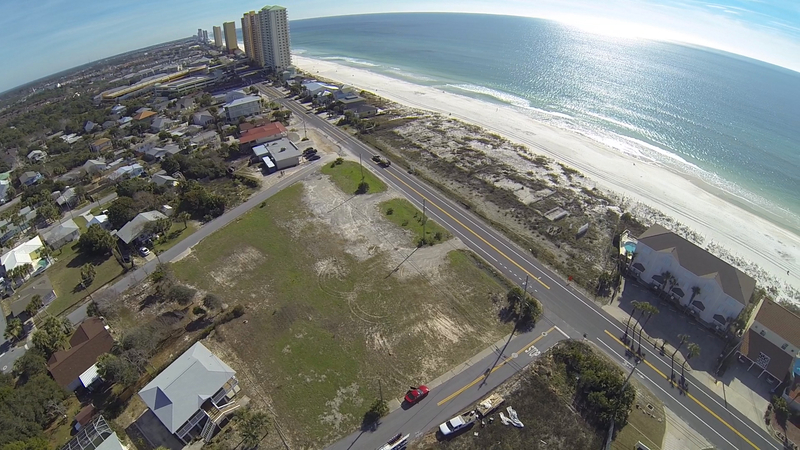 Team Baranowski of Keller Williams Realty Emerald Coast is pleased to present a unique opportunity to acquire BeachScape, a premium Gulf front condominium site located in Panama City Beach, FL. The last condos to be built were Palazzo, Tropic Winds and Ocean Reef in 2008. Condo resale inventories are on the decline and many developments are beginning to show their age. Buyers prefer new construction, but even the newest condo developments are becoming sorely outdated. BeachScape will appeal to buyers looking for new inventory in an updated and contemporary development. The 2.8+/- acre site includes 1.65+/- acres on the beach side of Front Beach Rd for the condominium tower and amenities, plus 1.16+/- acres north of Front Beach Rd designed and approved for a 5-story, 351-space parking garage with an elevated walkway leading to the condominiums. Ideally located on the west end of Panama City Beach near Pier Park, BeachScape will be the newest, westernmost condominium on Panama City Beach. The previous owner/developer invested approximately $11 million in engineering costs, full architectural plans, utilities to the site, support pilings, foundation, and ground level plumbing. BeachScape, the westernmost Gulf front condominium site currently available on Panama City Beach, is engineered and permitted for a 22-story residential condominium tower with a total of 234 units, and a 5-story, 351-space parking garage with elevated walkway to the condominium. Full entitlements include Florida State Development Order Extension until October 5, 2015 for 234 units. There is also a Panama City Beach Development Order Extension until February 2018 for 187 units under Ordinance 1276 of th Panama City Beach Land Development Code. Panama City Beach, FL was recently ranked #1 by Business Facilities Magazine on their list of “Top 10 Metro Growth Potential” for small population metropolitan areas (under 200,000). The offered beachfront site is located in one of the best positioned areas of Panama City Beach, in the desirable West End area near Pier Park, Panama City Beach’s most popular shopping center and entertainment hub. Panama City and Panama City Beach have been forecasted to be at the forefront of the next building cycle. For additional information on the economic conditions of Bay County, Florida including Panama City Beach, visit www.bayeda.com. Fill out the form below to request the BeachScape Offering Memorandum. Please call Craig @ 850.259.1788 for more information on this rare opportunity! When most people think of condos on Panama City Beach, they imagine massive high-rise condos in the middle of a crowded tourist area. If you are looking to live on the beach with fabulous Gulf views but crowds and high-rises are not your cup of tea, fear not! Vista Del Mar offers a unique change of pace on Panama City Beach. Vista Del Mar, built in 2006, is a 3-story condo one row back from the beach with only 4 units. 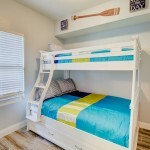 This beach retreat is only 2.5 miles from Pier Park, 3.5 miles from Frank Brown Park and the Aquatic Center, and 16.1 miles from the Northwest Florida Beaches International Airport. With its great atmosphere, fantastic Gulf views, easy beach access, and convenient location, Vista Del Mar is a great place to buy for an investment, second home, or primary residence. 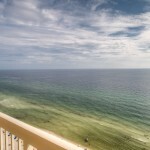 Vista Del Mar Unit #201 presents an incredible opportunity to own a piece of paradise on Panama City Beach. Enjoy exquisite Gulf and sunset views from this spacious second floor single-story unit with easy beach access. Conveniently access the unit by stairs or elevator. This unit features an inviting open floor plan in the living/dining and kitchen area. 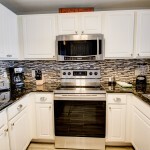 Gourmet kitchen with wood cabinets, stainless steel appliances, and granite countertops with breakfast bar. From the living area, step out onto your private balcony to enjoy spectacular Gulf and suns views. Park safely and easily in your own 40′ deep 2.5-car garage with easy interior access to the unit by stairs or elevator. Unit #201 at Vista Del Mar offers easy living with its spacious 1,800sf floor plan. The large master suite features a roomy walk-in closet and luxurious master bath with tile floor, separate walk-in shower, and whirlpool tub. If you are looking to enjoy the beach without the crowds, and do not want to be in a high rise condo, this property is a must-see! Call Craig today for more details or to schedule a private showing. 850-259-1788. Stunning Gulf views from the private balcony. Private balcony with Gulf and sunset views. Vista Del Mar is a 3-story condo with only 4 units. One row back from the beach! Convenient access to the beach. Gulf and sunset views from the living/dining area. Breakfast bar joins the living/dining and kitchen. Beautiful wood cabinets and crown molding. Additional bedroom with large closet. Guest bathroom in the hall. 3rd bedroom with large closet. 40′ deep garage offers plenty of room for parking and storage. 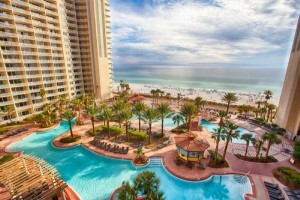 Calypso Resort and Towers has grown popularity as the premier vacation destination in Panama City Beach. These highly desirable Gulf front condos attract investment buyers for their great potential for rental revenue, and inventory is on the decline. 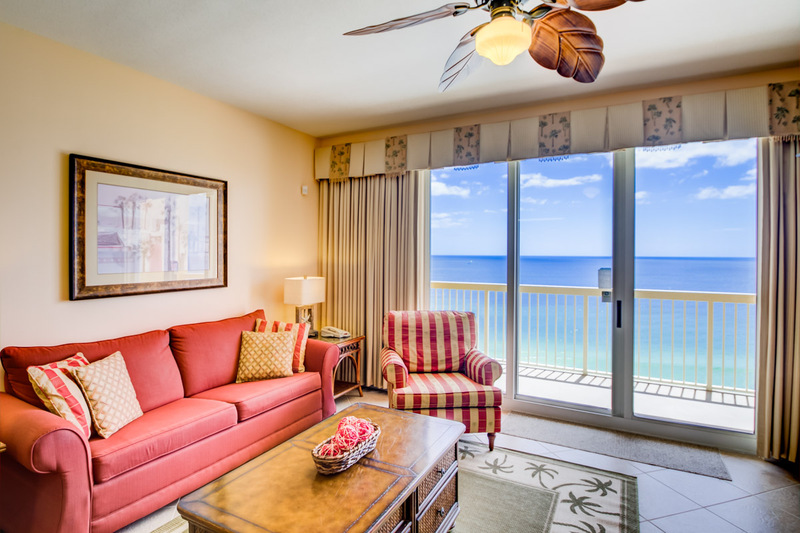 Unit 1-606 at Calypso is a beautifully furnished rental ready 2 bed plus bunk that offers spectacular views of sunsets on the gulf and the pier at Pier Park. Resort-style amenities and an ideal location create high demand for Calypso units, generating some of the highest rental income on the beach. Location, amenities and proximity to Pier Park make Calypso Towers and Resort condos a fantastic vacation rental or investment property. This is a highly coveted 6th floor 2 bedroom plus bunk unit boasts many upgrades. This beautifully maintained and upgraded East tower unit has been upgraded with crown molding, wainscot, custom cabinetry, custom made solid wood furniture including: kitchen table, side tables, bunk beds, media table, and hallway bench.The functional kitchen features granite countertops, tile floor, and a breakfast bar that seamlessly connects to the open living/dining area. A wet bar in the hall by the kitchen is convenient for entertaining. Maple hardwood floors in the living/dining and all bedrooms. Master bedroom boasts a private entrance to the balcony, a walk-in closet and en suite bath with double vanity. Make exquisite sunset views over the Gulf part of your nightly routine – sunset Gulf views can be enjoyed from the kitchen, living/dining, and master bedroom, or step out onto the private balcony to truly appreciate this spectacle while enjoying a refreshing ocean breeze. No need to wait to start making a return on your investment – buy it today and rent right away! 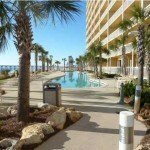 Sunbird Resort in Panama City Beach is a desirable place to buy an investment condo or second home. Sunbird is a gated condominium community loaded with all the fantastic amenities that attract families looking for an unforgettable beach vacation: 3 Gulf front pools, deeded beach access, laundry facilities, a BBQ pit, and convenient location near St. Andrews State Park as well as endless shopping, dining and recreation on Panama City Beach. If you are looking to make the first step into owning an investment property, a one bedroom gulf front condo is a great choice. 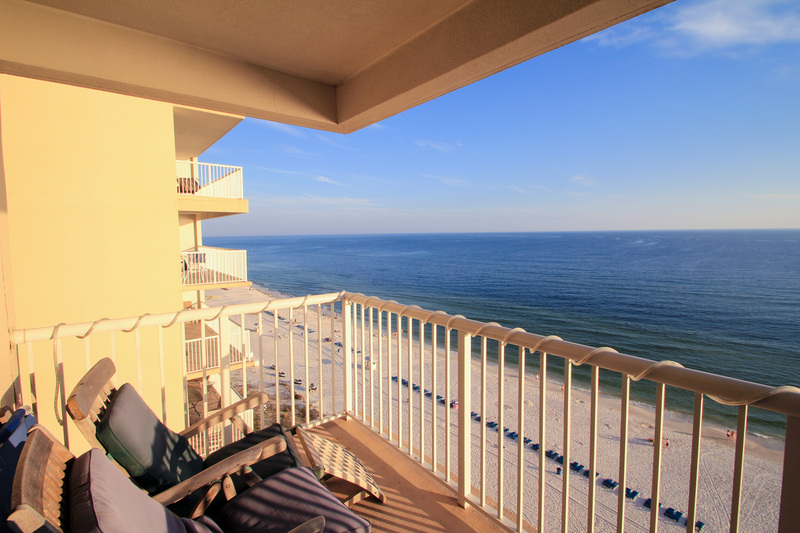 Sunbird Unit #310E is a beautiful gulf front unit and has consistent gross rental income over $15K per year. This Sunbird unit #310E is an ideal investment property, as well as a vacation retreat or primary residence. This turn-key rental ready unit features a fully appointed kitchen complete with granite countertops, tile floors throughout, spectacular views over the Gulf, and an even better rental history. This unit overlooks one of the community’s 3 Gulf front pools and is only steps away from private beach access. Floor-to-ceiling glass windows and a sliding glass door access to the balcony make gulf views visible from the kitchen and living/dining area. 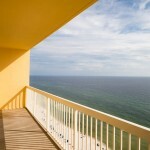 Step out onto your private balcony to catch a cool ocean breeze and watch the sunset over the Gulf. Ready to step out on the town? Sunbird Condo is right next door to the famous Pineapple Willys, a popular restaurant among tourists and locals alike. A short 10-minute drive east will take you to Saint Andrews State Park, one of the most popular beach recreational areas in the area. Explore the endless shopping, dining and recreation in Pier Park or brave the rides at Miracle Strip Amusement Park, all less than 6 miles to the West of Sunbird. 8/25/2014 Update: Seller relocated back to the area – no longer available on the market. One of the most important things to look for when buying a new home is location – how close will you be to schools, amenities, shopping, and recreation? 122 Cedar Hammock Lane in the Breakfast Point subdivision of Panama City Beach has the ideal location. Zoned schools, shopping and dining in Pier Park, as well as the recreational facilities and aquatic center at Frank Brown Park all lie within 5 miles of this wonderful community. The community also has a Publix grocery store at its entrance. 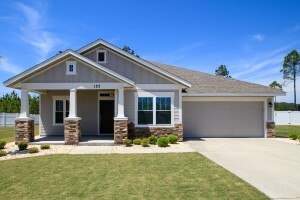 Other community amenities include walking trails, several parks perfect for picnics and family fun outdoors, as well as the Breakfast Point Marketplace Shopping Center at the entrance to the community. 122 Cedar Hammock Lane is an exceptional semi-custom home in Phase 1 of Breakfast Point in Panama City Beach. The home backs up to a conservation area, offering added privacy and views of the preserve. 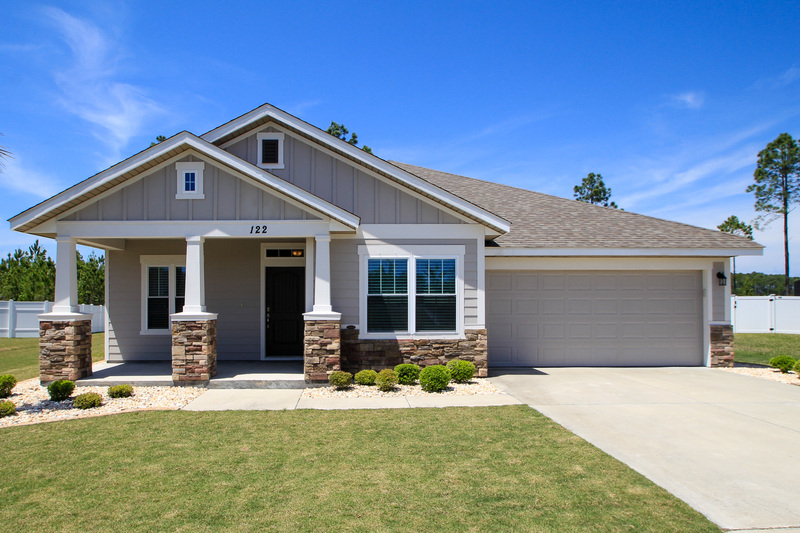 This David Weekly country craftsman-style home features an eat-in kitchen with large pantry, formal dining room, study, oversized family room, and a retreat between the secondary bedrooms that is perfectly suited for a game room, workout area, craft area, etc. Additional features and upgrades include: a screened in lanai; custom wood shelving in closets; upgraded carpet in bedrooms, study, formal dining, and retreat; tile in hallways, kitchen, family room, bathrooms, and laundry room; stainless steel appliances, washer, and dryer; and Cat-5e wiring for surveillance/camera system. The back of the house also faces west, making breathtaking sunset views routine from the comfort of the screened in lanai. We have many clients looking for a great investment property that will bring in excellent rental income. 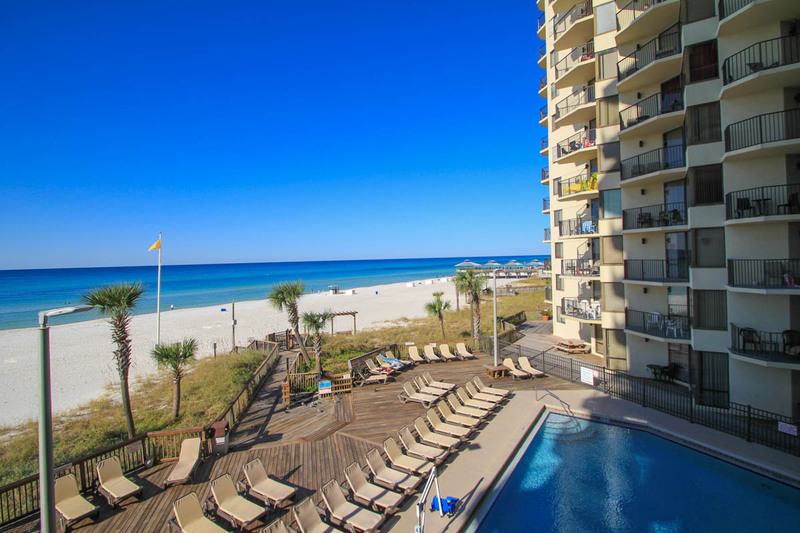 Majestic Beach in Panama City Beach is one of the top condo projects in Panama City Beach. It is loaded with luxury amenities that will attract families looking for a beach vacations and help drive consistent rental income. 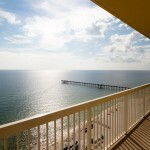 A one bedroom gulf front condo is a great way to make your fist step into owning an investment property. Majestic Beach Unit #1115A is a beautiful gulf front corner unit and has consistent gross rental income over $22,000 per year. This Majestic Beach unit #1115A holds fantastic value as an investment property, as well as a vacation retreat or primary residence. Full turn-key rental ready with a strong rental history, this exquisite corner unit has a lot to offer featuring GE appliances, 9′ ceilings, custom ceiling fans and blinds, and extended tile throughout the living/dining room. Wake up to beautiful sunrises peeking through the master bedroom window, and relish the gulf views from the kitchen, dining, and living areas. Access the private balcony through double sliding glass doors to witness incredible panoramic eastern views of the gulf. Majestic Beach offers resort style amenities including indoor/outdoor pools, tennis, a large outdoor dining area, impressive fitness facility, community room, the Majestic Movie Theatre, the H20 Bar and Grill serving Gulfside lunch and dinner and the Majestic Market featuring Starbucks coffee and gourmet sandwiches, etc. Convenient to shopping and recreation in Pier Park, as well as the new airport. Beautiful sunset views from your own private balcony. 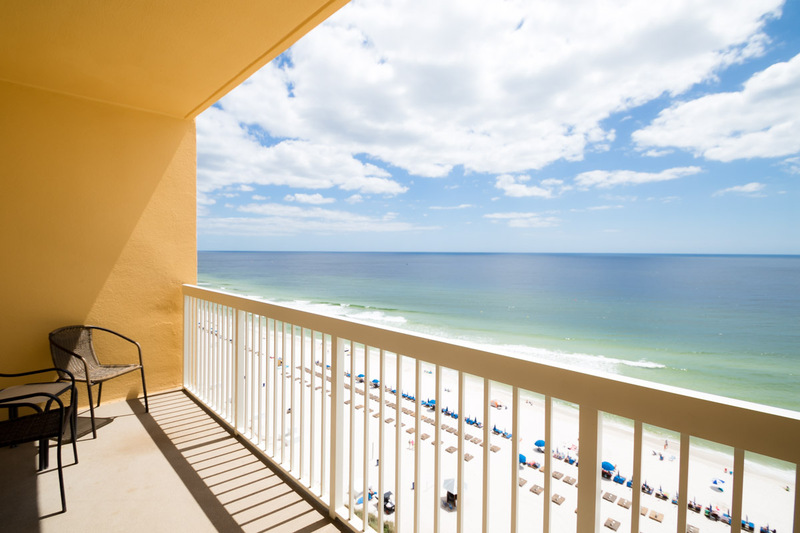 Panoramic views of the gulf from the unit’s private balcony. Fantastic Gulf views from the living area. Kitchen opens into the living area and features a breakfast bar, perfect for entertaining. Beautiful gulf views from the kitchen. 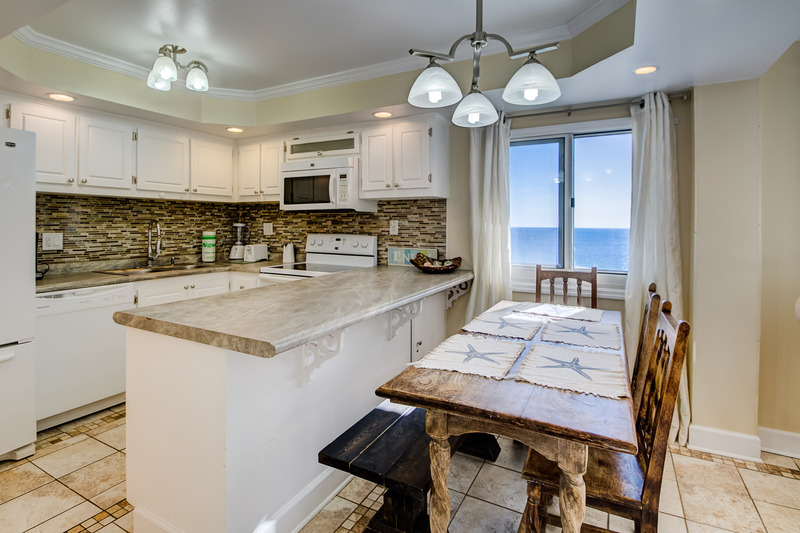 Enjoy gulf views while cooking in this spacious kitchen. Master bedroom with stunning gulf views. Wake up to breathtaking sunrise views in the master bedroom. 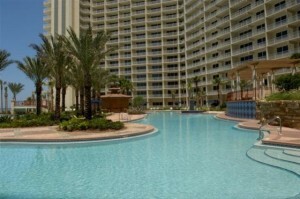 Calypso Towers and Resort has become one of the premier vacation destinations in Panama City Beach. 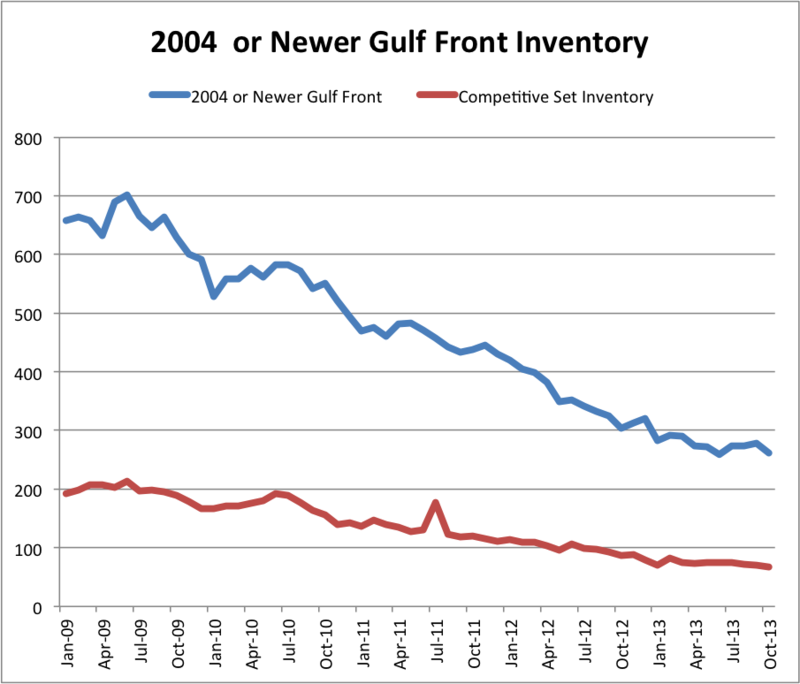 Inventory at Calypso has been on the decline and buyers flock to this popular gulf front condo. Unit 1-1709 at Calypso is a very rare west facing corner unit that offers spectacular views of the pier at Pier Park and sunsets on the gulf. Corner units at Calypso offer spacious and livable floor plans and an abundance of windows. And a wraparound balcony. High demand for these units generates high rental income making these units a fantastic vacation rental or investment property. This is a highly coveted 17th floor 2 bedroom end unit boasting a wraparound balcony and awe-inspiring sunset views from the great room and master bedroom. This pristine unit has been only lightly used and has never been rented. Loaded with upgrades, this unit features Brazilian Koa Tiger Wood hardwood floors, crown molding, custom wood plantation shutters, stainless appliances, recessed can lighting, frameless walk-in shower and separate tub in master bath. This unit is a must see! 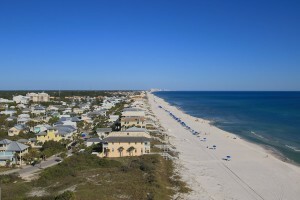 Panama City Beach had a condo development boom in 2004 to 2008. During this period we added some amazing condo projects like Calypso Towers, Grand Panama Beach Resort, Sunrise Beach, Splash and Aqua. The market was flooded with new condo inventory. When the real estate market crashed in 2007 we reached an all time high of condo inventory with and massive supply of short sales and foreclosures. After the oil spill in 2010 the market began its shift and gulf front condo inventory was quickly absorbed as high end new condos could be purchased below construction costs. With the real estate market crash all new gulf front condo development ceased after 2008. Many of the condo projects were halted at the foundation stage. Calypso Towers III has a foundation and construction is delayed for at least the next 3 years. The same is true with Emerald Beach Towers III and Beachscape on the west end of Panama City Beach. I am personally working with several condo developers and there are no plans to begin condo construction for a minimum of two years. 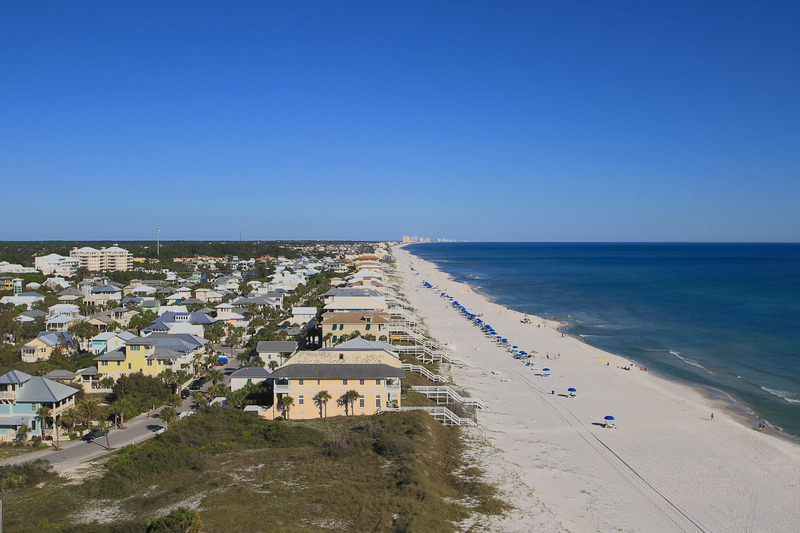 The city of Panama City Beach has passed a new ordinance to extend existing development orders on existing condo developments allowing them to apply for 2, 3 and 4 year extensions with zoning concessions. What does this mean? The soonest a new condo will start construction will be 2016 and with a minimum of a two to three year build out we are looking at NO NEW GULF FRONT CONDO INVENTORY UNTIL 2018 TO 2019! This is creating a significant shortage of existing condo inventory and creating an increase in condo prices. 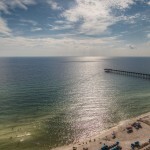 With the growing popularity of Pier Park and Panama City Beach, gulf front rental rates are on a steady increase. Low interest rates and high rental income makes gulf front condos in Panama City Beach a very attractive investment property or second home. Calypso Condos in Panama City Beach (Calypso Resort & Towers) is one of the premier gulf front condos along the Emerald Coast. 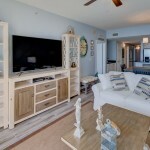 Located at 15817 Front Beach Rd, Panama City Beach Florida 32413, it is the only condo located next to the popular Pier Park, offering shopping, dining and entertainment for the entire family. Calypso is currently only one of three condos in Panama City Beach Florida that has special Fannie Mae Financing Designation. The special approval designation enables 20% down for ALL OCCUPANCY TYPES including loans as investment property and second homes. In addition, the entire loan product suite is available…30/20/15 year fixed, 10/7/5/3/1 year arms are all available! 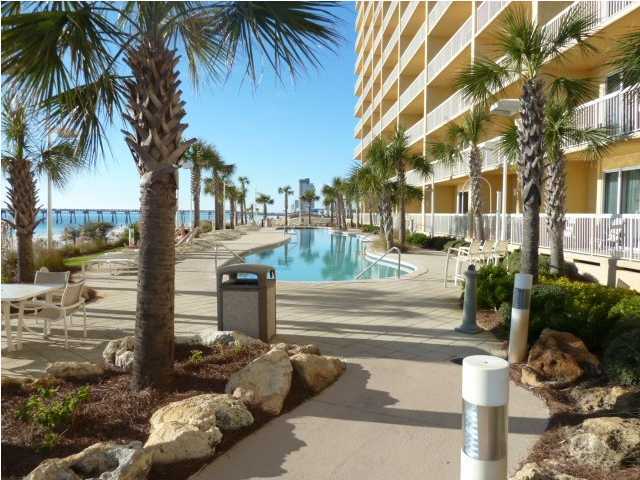 Calypso Resort and Towers prime location next to Pier Park in Panama City Beach, popular floor plans and amenities has enabled Calypso to hold its value compared to other condos in Panama City Beach. Calypso Condos rental income potential is also higher than most condos on the beach due to its location to Pier Park and Frank Brown Park where many of the year round events are located and help drive significant amounts of rental demand. Empowering our clients to make informative decisions on their real estate purchases is our primary goal. We put together industry leading technology to enable our clients to research and analyze the market to help streamline the purchasing or selling process. 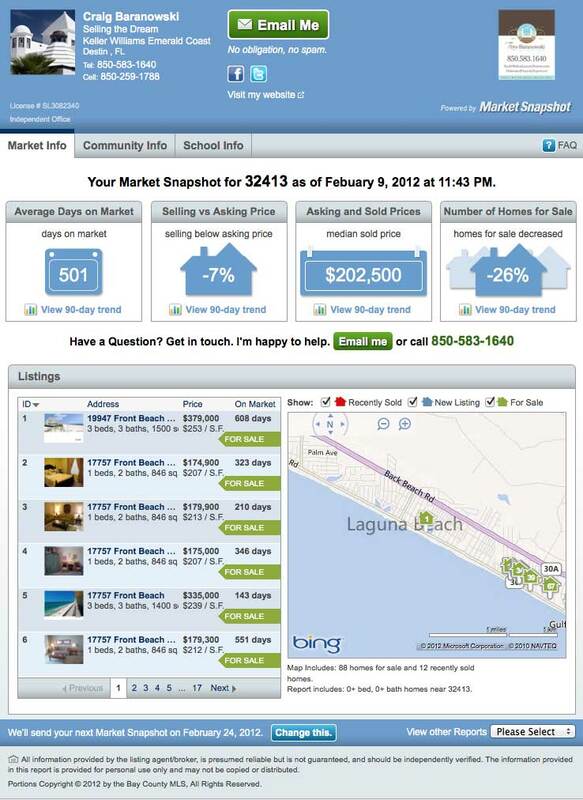 Providing up to date Market Analysis and Market Snapshot data for Gulf Front Condos in Panama City Beach is just one of the many technology tools we provide our clients. These market snapshots are run every 2 to 4 weeks and capture critical market data such as: average sales price, average days on market, asking vs. selling price, and number of properties sold over a 90 day trend. 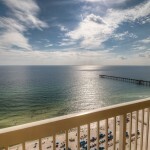 We have provided quick links to Panama City Beach Condo Market Snapshots for easy viewing. If you would like any of these detailed reports sent to you automatically, please call us at 850-583-1640 or email us @ info@teambaranowski.com.